For clients looking for a higher return investment product, the new SMI Long Short Credit Fund is an exciting new option. It's an absolute return, fixed-income hedge fund targeting returns of 7%-9% pa with volatility of less than 5% pa, with low-to-no correlation with equities, fixed-rate bonds and property. Watch the video below to learn more about the fund. Someone asked us recently: why use Group Lending? It's a good question. You already know the big advantages: the ability to access multiple funding solutions via the one dedicated team; our competitive products; and solutions to assist your customers achieve their short and longer-term goals. We preserve the cross-sell opportunity for you. Be it Wealth, Insurance or Commercial Lending, our hands are off your future income opportunities. Unfortunately, the same cannot be said for the majority of the non-branded lending panel. We let you know if your client intends to refinance. Our team looks after post settlement customer service, so discharge requests, or even statements being downloaded, are retention triggers. So, we will let you know and provide options so we can work together to retain the client! Multiple funding options - one application and one credit inquiry. While we have access to 4 main wholesale funders, there will only be one credit inquiry (unless LMI is involved) as a result of any application. If we cannot get the deal set with the intended product, and another funder is able to assist, we will come back with the alternative with no additional credit inquiries. Optimal solutions sourced. Be it the initial advice from our experience relationship managers or our credit team, we always look for the best solution for you and your client. We've had a number of situations where an application has been submitted for a Specialist product with some minor explainable blemishes, and we have ended up being able to provide a prime lending solution, providing a great outcome for client and branch alike. We work harder to ensure your loans actually settle. With a dedicated person to do everything possible to drive your deals from formal approval through to settlement, we drive results to ensure payday hits sooner and more often. Absolute dedication to the Vow. Group Lending only provides product solutions for Vow brokers and YBR branches, so we are here to support you and your business. By supporting the Vow brand, we ensure you remain top of mind for your client's future financing needs. scenarios@grouplending.com.au otherwise feel free to contact the team below. CoreLogic's August home value index results reveal that the Sydney market is slowing down, while Hobart emerged as the country's best performing capital city, based on growth in dwelling values over the past twelve months. The data also shows that national dwelling values remained flat during August, with capital city values edging 0.1% higher. Simultaneously, regional dwelling values slipped 0.2% lower. According to CoreLogic head of research Tim Lawless, this steady result provides further evidence that the housing market has moved through its peak growth phase. A user-friendly new plug-in for Symmetry makes it easier than ever to keep track of client files. 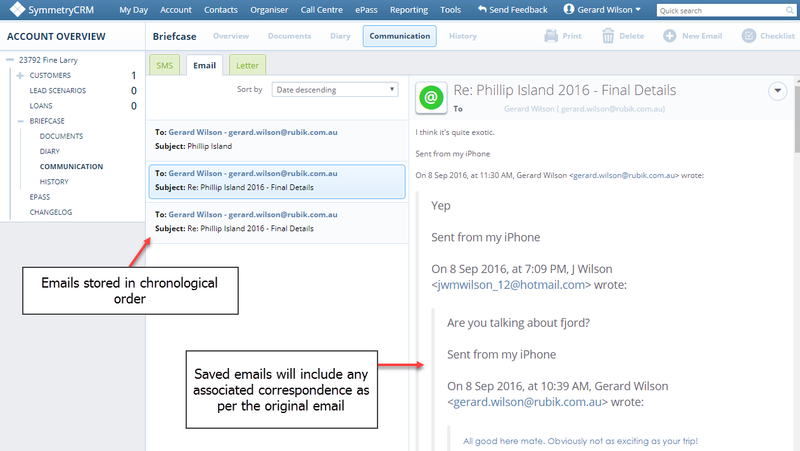 Now, when you receive or send an email to a client, you can allocate the conversation to the client's Briefcase. 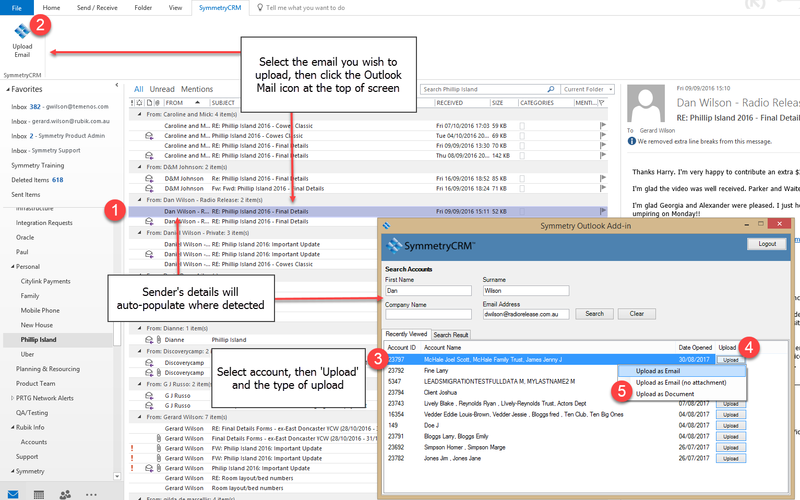 Not only does this make your record keeping more efficient, it makes compliance easier and integrates your two key systems - Outlook and Symmetry. Below are some screenshots outlining the feature. The tool will be live from 5pm today, 7 September. Ever wondered how Deposit Power can help you provide a better service to your customers as well as referral partners? Offer your customers a Deposit Guarantee, help them with arranging their deposit and they are more likely to follow through and apply for a loan with you! Deposit Guarantees can also come into play for adding value to your referrer agent. Educate them on the availability of a Deposit Guarantee (instead of cash deposit) and this can open up more potential buyers for their listed properties. The application process is fast and easy - using our new online platform, Deposit Guarantees have been auto approved in 80% of cases in less than 15 minutes! You will be paid commission for every Deposit Guarantee issued! Join our webinar to find out how easy the application process is, how to position Deposit Guarantees with your customers and how you can use Deposit Guarantees to convert more enquiries into loans. You will also get CPD points for MFAA & FBAA members for attending our webinar. Diversification of your knowledge is key to supporting your customers in securing their next property. Make sure Deposit Guarantees are in your tool box! Australia's growing love affair with apartment living is underlined by the fact that over the past five years the total value of building approvals for apartments more through the country than doubled. The latest ABS building approvals figures shows that during 2016/2017 the total value of apartment developments approved over that year totalled $22.2 billion. This compared to just $9.4 billion during the 2011/2012 financial year meaning that over the past five years the total value of apartments under construction on an annual basis in Australia surged by $12.8 billion or over 130%. The scale of investment in apartment living is further highlighted by the fact that every day more than $60 million was being invested in apartment development around Australia last financial year. Overall, apartment sales in capital cities such as Sydney, Melbourne and Brisbane have been very strong during the past several years mainly driven by investors who are taking advantage of record low interest rates to capitalise on rising property prices. * Make sure you claim your full tax benefits associated with owning an apartment for investment purposes. For example, tax depreciation benefits can be substantial and can add up to several thousand dollars each year in tax savings for a single apartment. *When buying an off the plan apartment, it is important to research the track record of the developer to ensure they deliver what they are promising. One good tip is to speak to some of their previous clients who also bought off the plan and now hold a fully completed apartment from the developer.